The compact yet powerful Armer™ Wall Washer Light 5633-Series LED Wall Washer features Compressed Mechanical seal and Nano Film Waterproof Breathable Plug to make the air pressure balance between the internal and external of lamp body and solve the mist and waterproof issue. The fixture uses high-intensity top grade high power LEDs, optical-grade PMMA lens and advanced heat dissipation mechanism anodized aluminum extrusion to provide exceptional photometric performance, energy efficiency and longevity. 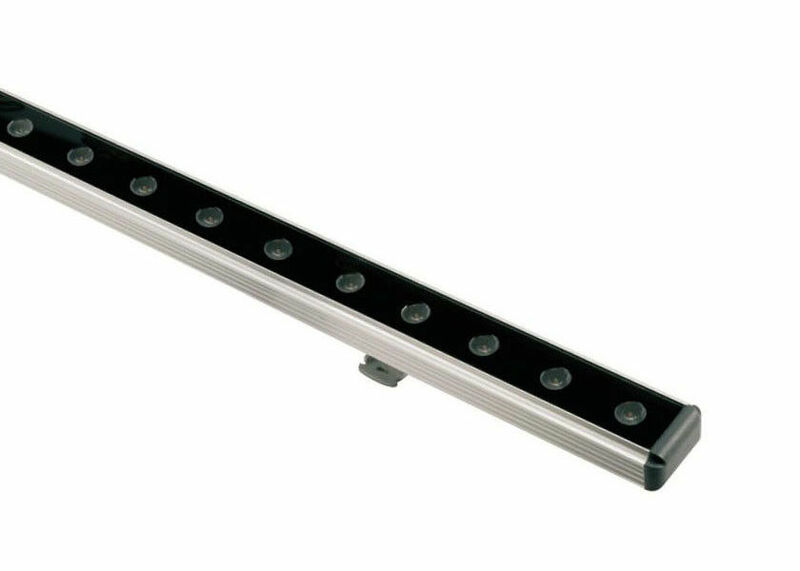 With a wide range of color consisting of warm white, natural white cool white and RGB to illuminate interior walls, exterior facades and unique architectural details with a rich, even wash or graze effect,and IP65 rated waterproof design, enables5633-Series Wall Washer is ideal linear lighting solution choice for most sophisticated, concentrated bright light output in both interior and exterior environments. ● Utilizes Compressed Mechanical seal technology and Air pressure balance Nano Film Waterproof Breathable Plug to solve the waterproof/protection problem caused by thermal expansion and contraction. its angle and side to side can be adjustable freely. The mounting holes on the brackets help to mount the fixture simply. ● Length,body color(Anodized Silver or black),led quantity,beam angle and etc can be customized made.